lets be honest...this is going to be hall of famed. We haven't got any info about cards rotating to HoF and it's still 8 months to next rotation. 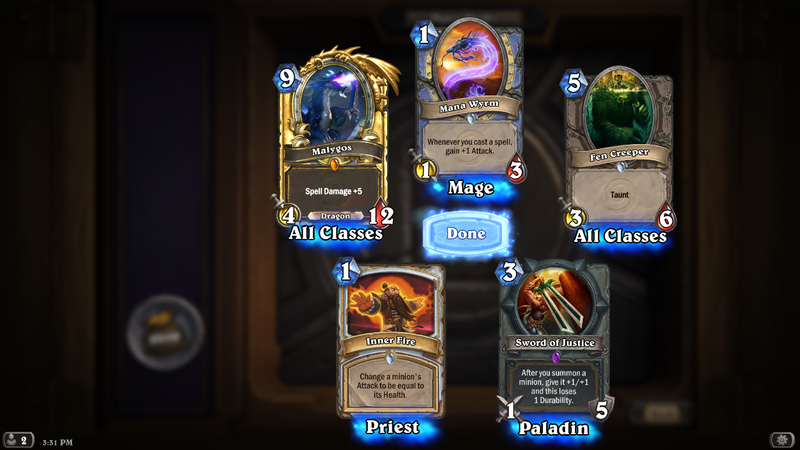 I know Rogue is playing it, also Druid and Warrior. Maybe the forth is some kinda Spell Damage Mage. 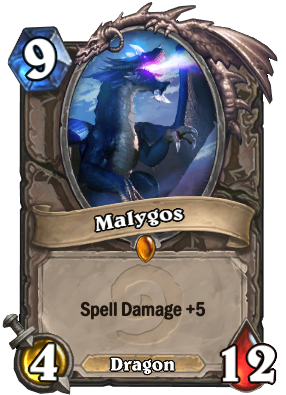 Malygos sits forever in the hall of cards that can make literally any player say "Wait, am I dead?" when it comes out, no matter how far ahead they are. It feels so good to play it! you have him in gold right? I AM ESSENCE OF MAGIC!! *Drinks a energy mana potion, then smashes the bottle on his head. * RAWR!!! Is there any merit in playing Malygos as a big threat like Ysera that can win you the game if left uncontested? He only ever gets played as a Combo card, but a 4/12 minion is still very strong even if you don't get to use his Spell Damage instantly. Probably not. The reason Ysera is good is not because of the body, but the dream cards. Playing Malygos as just a huge body will just have him removed, and you lose the game shortly after. If that happens with Ysera you at least get a dream card, and if kept alive can give you many more.